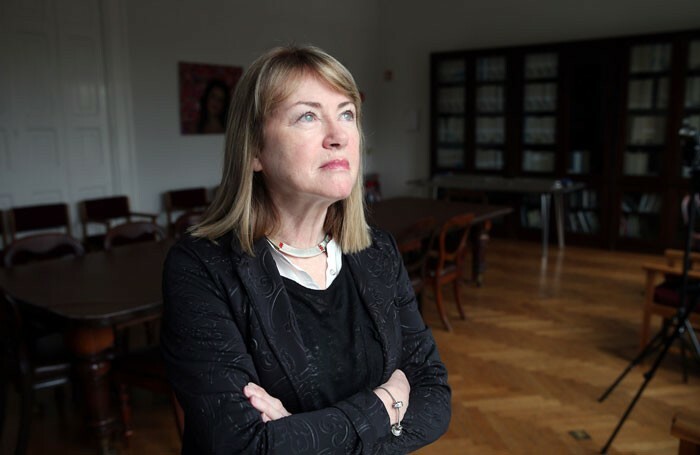 The chair of the Arts Council of Ireland has described a 5% increase in the organisation’s funding for 2018 as “a huge disappointment”, following promises to double government arts spending by 2024. Sheila Pratschke also called for “a significant uplift in investment from 2019”. She made the remarks following the announcement in the Irish budget of a €3 million (£2.7 million) increase in state support for the Arts Council to €68.1 million (£61 million) – the highest allocation since 2010. There had been hopes that spending on the arts would be considerably raised after the taoiseach Leo Varadkar pledged in May to double funding by 2024. Last year’s 8% increase in Arts Council funds was the first such rise after nine years of successive cuts. She added that the new funding “will allow us to meet existing commitments but will severely hamper our efforts to broaden support to artists and organisations nationwide”. The Arts Council, she added, “will continue to work with [arts] minister Humphreys to advocate for this increased investment in the arts and cultural sector”. “We need a commitment from government that we will have a significant uplift in investment from 2019”. Other budget announcements included a 14% increase for Culture Ireland to €4 million (£3.6 million) and €2 million (£1.8 million) for the Creative Children initiative.